Weddings can present a unique security opportunity. Although mostly a happy occasion, we’ve all heard the stories of some unruly relative or irritable guest spoiling it for everyone especially the bride. Many venues require security guards, particularly if alcohol is served at the reception. If your venue requires a security guard, or if you just want a security guard for peace of mind, be sure to hire a licensed and experienced professional. 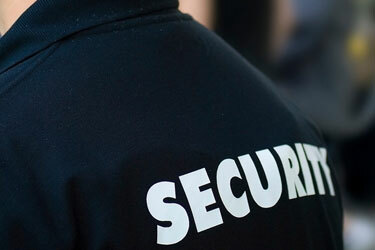 Our security services works with some of the most well known wedding venues. Our team understands that clients demand well groomed and customer service driven professionals. Our company delivers on their expectations by custom fitting each security officer to each individual event. We offer a wedding security service which blends high levels of protection with discretion, just to make sure we don’t steal your thunder on your long awaited day. With highly qualified security officers we will ensure that not only your venue stays secure but we can also carry out other duties to make your day run smoothly such as looking after your guest’s belongings and any gifts too.